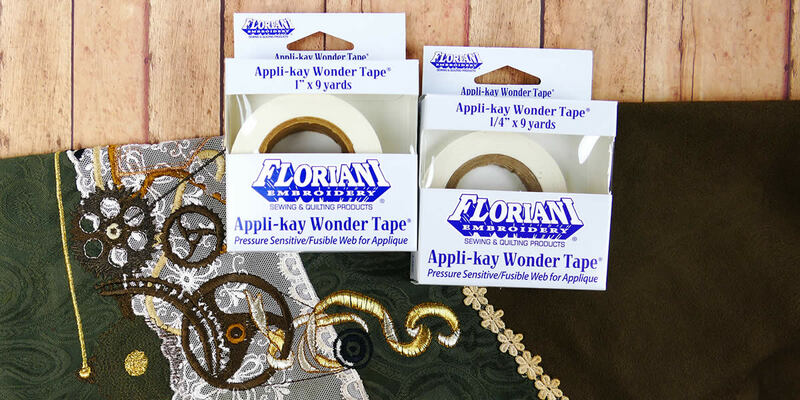 Floriani Appli-kay Wonder is a specialized webbing material which is fusible on one side and sticky on the other! Use for traditional or machine embroidered appliqué to hold pieces in place while you stitch without gummy needles! Enjoy the soft and flexible texture of Appli-kay Wonder when layering pieces. The pressure sensitive side makes positioning small detailed pieces a snap! 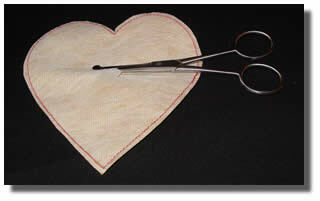 Also use to hold free standing embroideries or patches in place while you stitch. Now available in convenient printable sheets or tape size rolls. Tape size rolls are ideal for holding decorative ribbons or trims in place while you stitch, paper crafting or use for flawless quilt binding! Available in 1", 1/2" and 1/4"
Once the design is complete and trimmed, trace the outline of the design on to the paper protective sheet. *Remember that you need to trace or draw the "reverse" of the image. 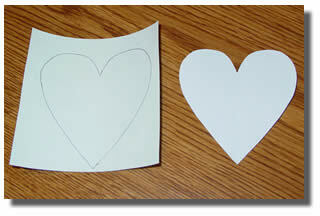 Following the lines you've drawn, cut the shape from the Appli-kay Wonder®. Place the soft/shiny side (exposed fusible) of the Appli-kay Wonder® to the backside of the embroidery and then press using a medium to high temperature on your iron and no steam. Hold the iron in place for at least 3 seconds. *All irons vary in temperature. Start at a medium setting and work your way up until you get a good fuse. 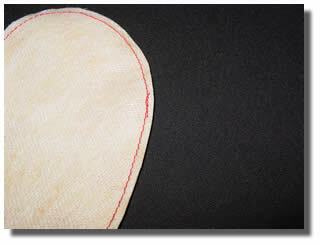 Once it has cooled, peel away the contact paper from the embroidery design which exposes the sticky side. Position the embroidery on the garment and then press into place. Press from the applique side (use a press cloth to protect your embroidery thread) and underneath the fabric/garment for a secure bond. 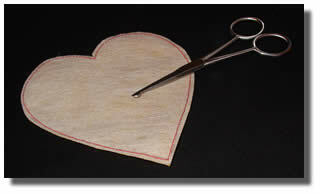 Finish by stitching around the embroidery with a satin or straight stitch. Trace the design to be appliquéd onto the protective paper sheet of the Appli-kay Wonder®. Tip! Use a light box or trace at a window for accuracy! Trim around the image leaving at least ¼" inch of the Appli-kay Wonder outside the traced lines. 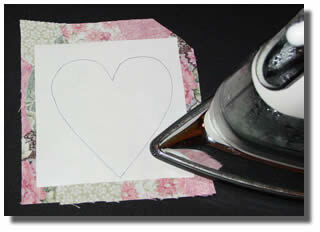 Fuse the Appli-kay Wonder® piece to the wrong side of the decorative fabric using a medium to high temperature setting on your iron (No Steam). All irons vary in temperature settings. Start at a medium temperature and slowly increase until you get a good fuse. The fusible side of Appli-kay Wonder® is the soft/shiny side. 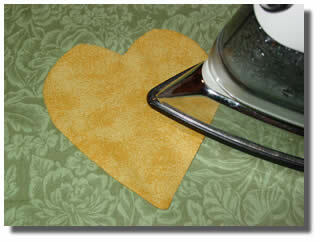 Hold the iron in place for at least 3 seconds and then flip the piece over and press again on the fabric side. Once cooled, cut out the appliqué design using the trace lines. Peel back the protective sheet to expose the sticky surface. **It is very important to let the applique cool before removing the paper. Position the appliqué piece on the garment and press in to place. 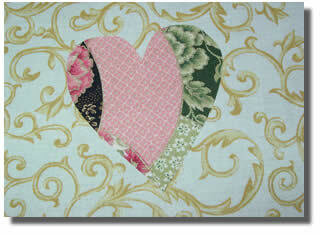 *Press on the appliqué side and the fabric side for maximum bonding. Finish by stitching around the appliqué with a satin or decorative stitch. **Remember that your traced image will be reversed once it is traced onto the paper side of Appli-kay Wonder®. Make adjustments to the original image to prevent this. **Most fabrics are treated with a starch or sizing. Pre-washing your materials prior to using them for applique will remove this treatment from the factory and will allow Appli-kay Wonder to bond more securely. **Test all materials and procedures thoroughly before applying to your finished garment. Appli-Kay Wonder helps me do amazing things for my shop on Etsy. Love it! This is the best product I have found for applique. I use it for needle-turn applique as I can cut the fabric 1/8 inch larger and then turn the edges over and press them onto the sticky side of the Appli - Kay. The centre part still sticks the pieces I want them, so I don't often need to use pins to hold the pieces in place. This is a God-send and has ended the tantrums about getting the thread tangled on the pins. Thankyou so much for your wonderful product. I love Appli-kay wonder. It makes an exacting job so much easier! I recommend this product whenever I can! I am a Patchwork Tutor in Minchinbury/Penrith /Sydney and I have used this product with all my many students since it first came to Australia. 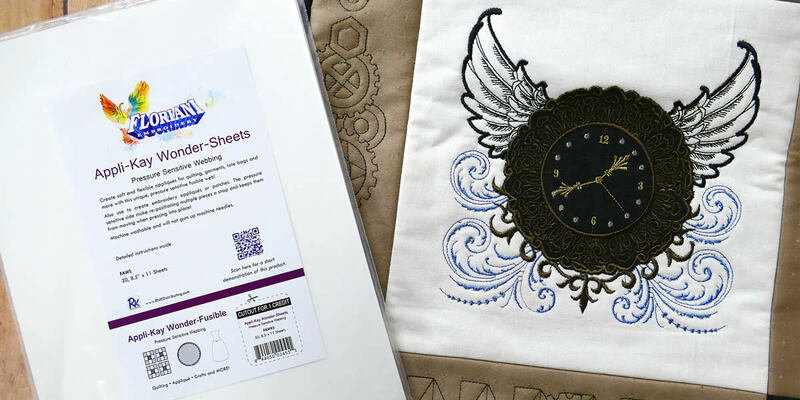 Please if you are making Applique quilts this is the product for you and I also recommend there other products as I teach Hand embroidery to go in your quilts and there stitch and wash is a must to have wonderful results. I am an Independent Tutor so when I endorse a product you know it's good. I have to drive 2 hours one way to get to a store that has Appli Kay Wonder, but I love this stuff so much I make the trip. I wouldn't even think of using anything else. I sure hope one of my local quilt stores will start carrying this wonderful product. I have been using appli kay wonder for so many years , I recommend it to everyone, a fantastic stuff to use when you are doing a big applique project. I first was introduced to Appli-Kay Wonder at a Craft Fair and after I tried it nothing else compares to it. I have tried Vlisofix and other similar products and I will never go back to using them. Appli-Kay Wonder is the one for me from now on. 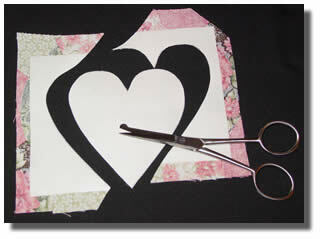 I really have used the Applique Wonder with my Ioline cutter. Cut out large letters for a church quilt using it and the church ladies peeled off the paper to place the letters, and it held while they sewed the letters in place.